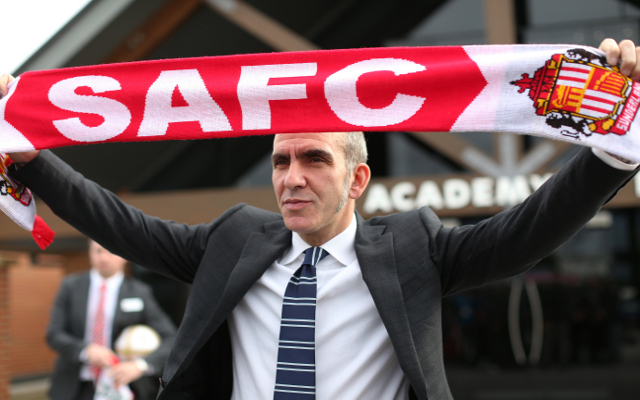 Di Canio to add to Sunderland’s striking options this summer. Sunderland manager Paolo Di Canio believes the club’s struggles this season are down to a lack of options upfront, and will look to rectify this situation in the summer transfer window. The Black Cats look to have improved since appointing the controversial Italian as manager to replace Martin O’Neill, but still find themselves in an end-of-season battle for Premier League survival. Di Canio admits that when he joined the club he was surprised at the lack of options available to him in the striking department, with the North East club relying on just Steven Fletcher and Stephane Sessegnon to score the goals. Fletcher had looked a decent signing since joining from Wolves this season, until an injury in March ruled him out for the remainder of the campaign, while Di Canio says he does not necessarily see Sessegnon as an out-and-out striker. Former manager O’Neill brought in Danny Graham from Swansea in the January transfer window, but only as a replacement for reserve forward Frazier Campbell, while youngster Connor Wickham has had problems with injuries and is inexperiened at this level. Speaking to the Shields Gazette, Di Canio said: “I don’t want to be critical, but if you’re a team who wants to stay up, or a team who wants to win the league, I think you need five strikers. “Not three or four; five – one of which should be a young one like Wickham. “This club only had Fletcher until January and Sessegnon, who is a second striker. What happens if Fletcher gets a cold? The former Swindon manager added that he believes his side can avoid relegation this season, as he has made changes to the tactics in order to score more goals. “I’ve watched games (from earlier in the season) and we didn’t have more than one or two players in the box,” he explained. “Players were having to go 60 or 70 yards with the ball. Sunderland have not yet been linked with anyone specific, but talkSPORT claim they will sell on-loan striker Ji Dong-Won to Bundesliga side Augsburg next season.